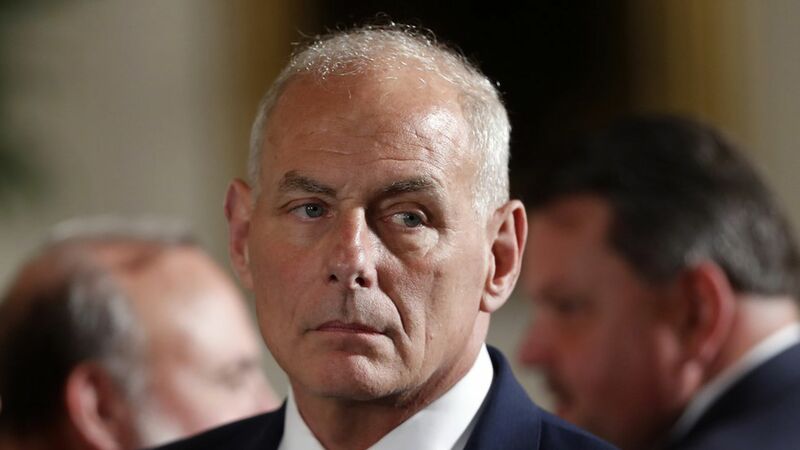 The AP's Vivian Salama and Jill Colvin report on a standoff between new Chief of Staff John Kelly and President Trump when Kelly was running the Department of Homeland Security. Kelly reportedly demanded to speak with the president in private after Trump complained about how the U.S. was letting in travelers from foreign countries that he sees as high-risk. Kelly first tried to reason with Trump in the open setting, the report claims. When Trump refused to listen, Kelly demanded that the other advisors leave the room so he could "speak with the president frankly." Loud voices were then reportedly heard emanating from the Oval Office as Kelly made his point clear. Editor's Note: This story originally said the meeting took place on Kelly's first day as Chief of Staff. It happened when he was still at DHS.